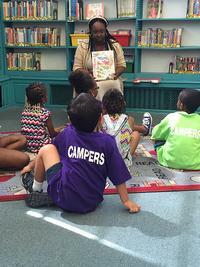 I am the Blanche A. Nixon/Cobbs Creek Library Branch Manager and Children’s Librarian. 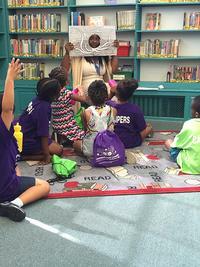 The most important thing I would like people to know about Blanche A. Nixon/Cobbs Creek Library is that there is amazing staff available to help them find just the right book, information, or connect them with needed resources. I also want everyone to know there is always something fun and engaging to do at the library—Monthly Toddler Storytime, Fiber Craft Group, Lego Days, Movie Days, and Teen Comic Book Club. We offer cooking classes quarterly. The library also provides a wealth of information about different things going on in the community. Many organizations use our public message board to leave information about upcoming community events and to post job listings. When I was growing up in Philadelphia, my favorite place was the library. The most rewarding aspect of my job is being able to make the library a fun and engaging place for everyone, as library staff did for me when I was growing up. I am currently reading The 100 by Kass Morgan and watching The Strain. My favorite place to read is on the El Train. 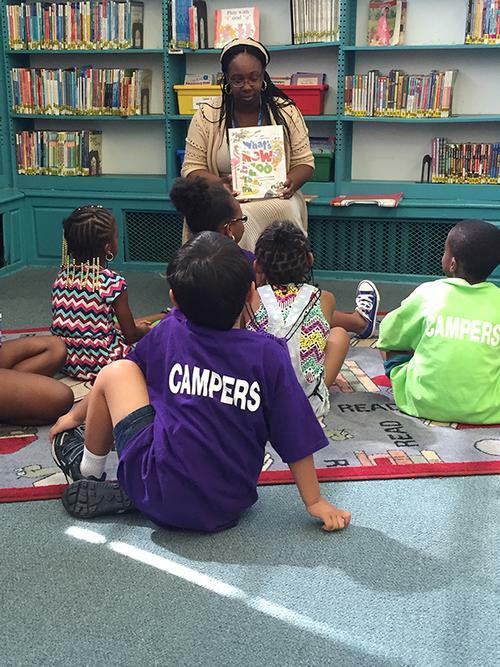 Christina reading to children during a storytime event. Christina is really into this book! Ms. Christina is the BEST! 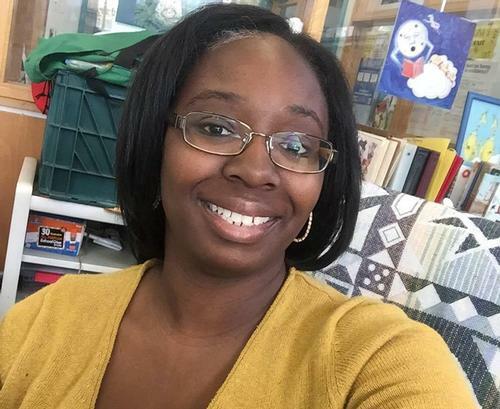 Christina truly loves her job and her Library community! When I see her face I couldn't wait to scroll down for a comment. Ms Chris is sooooo wonderful and very nice. She is very helpful to the children and to the parents who need help. She really loves her job and is a wonderful asset to this the library system in Philadelphia.